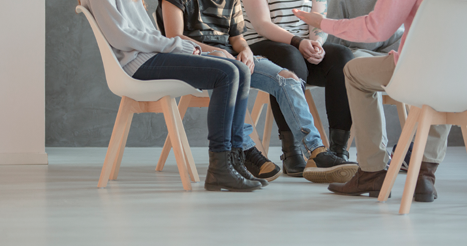 To provide stability for struggling children, ensure that all adults working with students embrace consistent strategies for responding to behavioral and mental health issues. Most of the county’s residents live in rural and underserved communities, and nearly 29%  of our children live in households receiving public assistance (U.S. Census Bureau, 2016). The opioid epidemic is on the rise at an alarming rate. In the first eight months of 2017, Bucombe County experienced 230 cases of opioid overdose, up from 84 over the same period last year (Bordas, 2017). In a recent survey of middle school students by the United Way, one in three reported having experienced three or more Adverse Childhood Experiences as compared to the national average of one in five (Wolpow et al., 2016). Our local school systems are serving families living in urban public housing and others living in 7th-generation farming communities in the far corners of the county. Addiction, domestic violence, and mental illness cut across racial, socioeconomic, and geographic divides. Students bring these issues into the classroom every day. But expecting schools to address these issues on their own is unrealistic. Expecting schools to act alone to deal with long-standing and emerging issues affecting the health and well-being of students and families is unrealistic. LAURA ELLIOT (laura.elliot@unitedwayabc.org) is director of Middle School Success Initiative, United Way of Asheville and Buncombe County, Asheville, N.C.